Ruby Hill was first discovered in 1869. 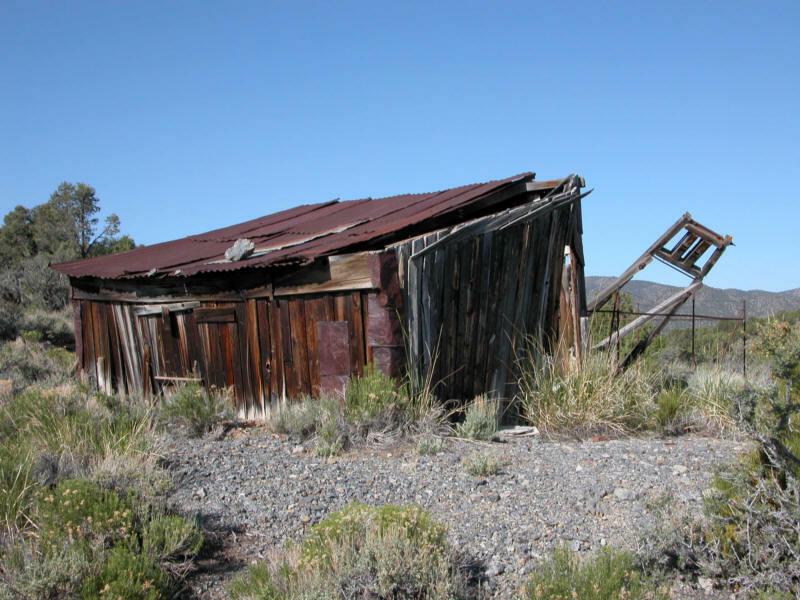 By early 1870s, a small mining camp developed and in 1873 a post office was opened. In 1875, the Ruby Hill Railroad began operations, used primarily to deliver ore to smelters in nearby Eureka. This railroad was in operation before the Eureka & Palisade reached Eureka. By 1878, Ruby Hill had a population of 2500 and two newspapers. During the 1880s, mine production began to falter and by 1885, only 700 residents remained. Population continued to decline and the post office finally closed in 1901. Activity in the area continued periodically after that time as outlined in the following articles. This brief history of the Ruby Hill area is in two main parts. The first part is a general 0verview of the early history period from 1864 to the early 1930s. Information for the period is taken from references, personal notes and papers. The second part is a chronological history of the companies and activities at Ruby Hill from 1937 through the 1980s. Information for this period is taken from personal notes, papers and reports. Oxidized gold-silver-lead deposits were discovered in the Eureka Mining district in 1864, but there was little activity until 1869, when the Ruby Hill deposits were discovered in the Eldorado dolomite formation. In July 1869, Major W.W. McCoy devised a furnace for recovering the metals in oxidized ores. The following are excerpts from Eureka and its Resources by Lambert Molinelli, published in 1879. All ores mined in Eureka District are taken to the town of Eureka for metallurgical treatment. A branch of the Eureka and Palisade Railroad furnishes a means of transportation for the mines of Ruby Hill. Smelting in the lead blast furnaces has been found by far the most profitable means of working Eureka ores. The method employed is technically termed the Iron Reduction Process. Ruby Hill furnishes 99 percent of all ores treated." Charcoal was essential for the smelting process, and by 1879 about 175,000 pounds per day were required by the smelters. The following is taken from Eureka Nevada: A History of the town, Its Boom Years 1879-85 by Judith K Winzeler and Nancy Peppin, 1982. Italians made up over 15 percent of Eureka's population: over a thousand were charcoal burners from the poverty-stricken Alpine area of Italy. The dregs of the labor force in Eureka, they were exploited by the system of contracting fuel for the smelters. Many were cheated because they spoke no English. During a slow time in the summer of 1879, the desperate burners stopped the supply of charcoal, asking for a two-cent increase of pay to 30 cents a bushel. At first the town was sympathetic, but fears grew that the smelting furnaces, the lifeblood of the community, would be shut down. As attitudes hardened on both sides, many who had been sympathetic stopped supporting the charcoal burners. The Charcoal Burners' Protective Association formed in Celso Tolli's saloon. They announced that no charcoal would be loaded for less than 30 cents a bushel. Several teamsters were threatened and their wagons unloaded. The refineries threatened to close down. Burners were arrested, but little charcoal was loaded. Lawsuits were filed. The militia was sent for, in case of violence, and everything seemed under control. 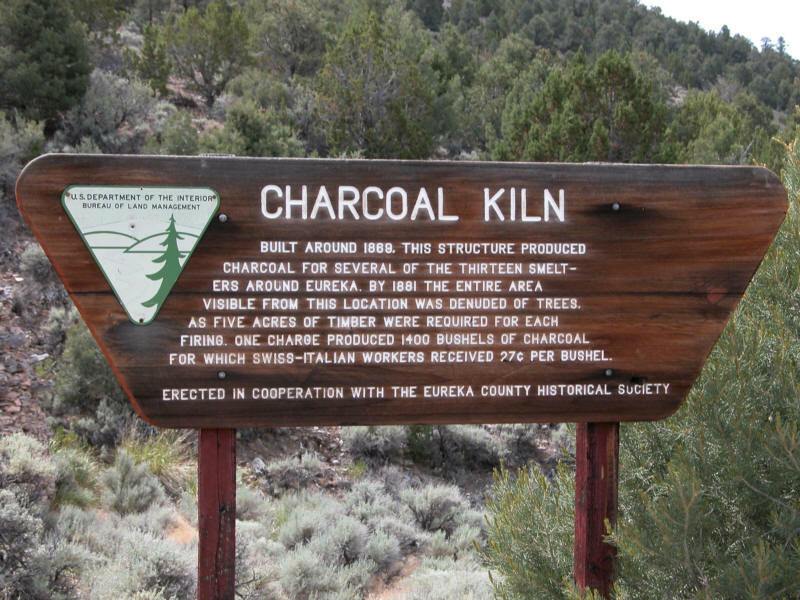 But, on August 18, 1879, Fish Creek, an area twenty miles south of Eureka, was the site of an ugly confrontation between striking charcoal burners and a local posse. After an exchange of words, shots were fired. Five burners died and several more were wounded. The Italian embassy in San Francisco protested, but a coroner's inquest excused the posse as acting "in the line of duty." The charcoal burners realized that the companies had won and that they had no choice but to go back to work. Then the companies lowered the price of charcoal even further. 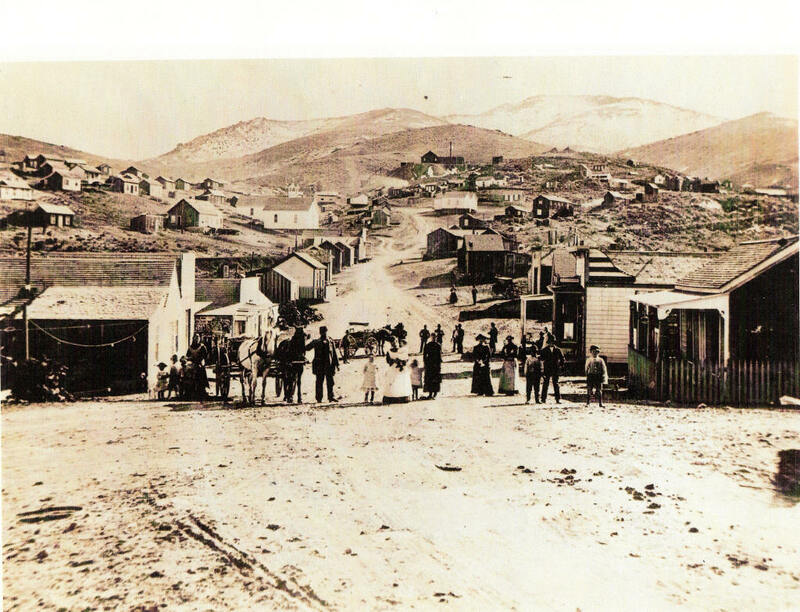 Town of Ruby Hill - Molinelli (1879) states the following: "Ruby Hill, the principal town of importance outside of Eureka, is situated about two and a half miles westerly from Eureka, on a hill bearing the same name, and is the seat of the great lode of the district. There are situated the famous Richmond and Eureka Consolidated Mines, Jackson, Phoenix, K.K., and others, of which we speak hereafter. The population consists of about 900 thrifty miners, with their families. The streets are well laid out; many handsome buildings adorn the same, among which can be mentioned the Miners' Union Hall and Theater, a neat and cozy building, Roman Catholic and Protestant Episcopal churches, many neat stores and saloons, and the immense hoisting works of the several mining companies. 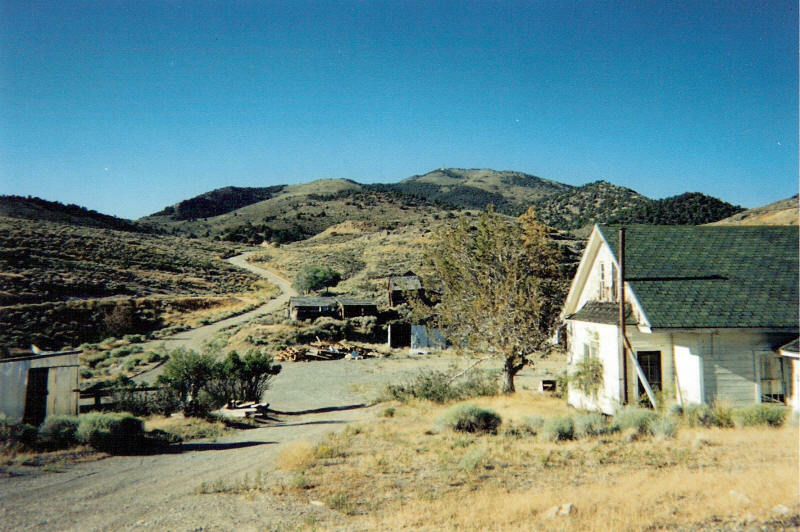 ​The Miners' Union, a body of miners 600 strong, organized for the purpose of pecuniarily protecting themselves and families from the many disasters which usually occur in mines, is in a flourishing and thrifty condition, and the scientific and successful manner of deep mining in Nevada. The Ruby Hill Mining Report, a weekly newspaper published at that place, is strictly devoted to the mining interests of the district and has proven itself a valuable informer to strangers in that respect." Many people have asked me about the "Eather House" that is located at Ruby Hill. 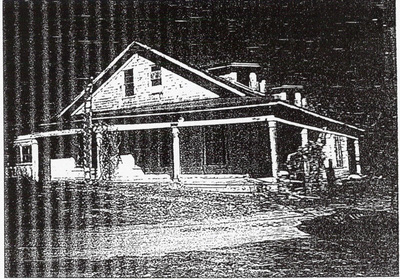 Prior to when Eureka Corporation obtained the property, Harry Eather was the watchman for the Richmond Eureka property, and he and his wife lived in the house. At some period in time, Richmond-Eureka Mining Company gave the house to Harry and his wife. I would estimate that the house was built in the late 1880s as a residence for the mine manager. George and Pauline Mitchell renovated the Eather house in the 1940s and lived there with their son and daughter until the late 1950s. Vern and Bev Manz and their family lived there until the early 1960s, when they moved to the old Swick House at the end of Clark street in Eureka. My wife, Genevieve, daughter, Andrea, and I lived in the house until we left Ruby Hill in November 1966. We were the last family to live in the house. Richmond Mining Company, 1873-1905, 488,081 tons, $15,209,012. 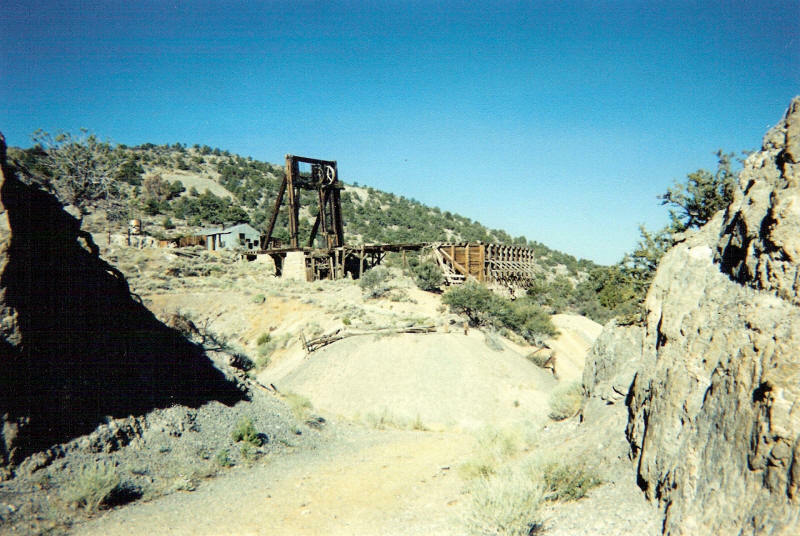 Eureka Consolidated Mining Company, 1873-1916, 550,455 tons, $19,242,012. Richmond-Eureka Mining Company, 1871-1939, 88,081 tons, $4,021,674. Other producers were the Jackson, Phoenix, KK and Albion. From about 1885 on, most of the mining was done by lessees due to the exhaustion of the high-grade ores. After the smelters closed down, the ores were sent to the Selby Smelter in California and to smelters in the Salt Lake City area. The ores were shipped via the Eureka Palisade Railroad to Palisade and then via the Southern Pacific or Western Pacific Railroads to California or Utah. Eureka Palisade Railroad train at Ruby Hill. A building at the top of the photo is the Episcopal Church. A number of ore bodies mined at Ruby Hill were terminated by the Ruby Hill fault, and it was recognized that extensions of the upper ore bodies might exist in the hanging wall of the fault. Thus, the Ruby Hill fault was penetrated in numerous places in the search for a possible extension. During the 1880s, the Eureka Consolidated Mining Company sank the Locan shaft to search for the down-faulted northeast extension of the Eldorado dolomite formation, and the hoped-for extension of the ore bodies. The Locan was sunk to the 1200 level without encountering much water, probably because the shaft was in the Secret Canyon shale formation at about the normal ground water level. The 1884 U.S. Geological Survey Monograph Seven states: "A crosscut was driven southwest from the 1200 station toward an ore-bearing wedge of Eldorado dolomite, and water was encountered ... The crosscut and the lower part of the shaft filled with water so suddenly that the men had barely time to escape." The water then rose in the Locan shaft to the normal ground level of about 1,035 feet below the shaft collar. In 1905, the last smelter was shut down following the exhaustion of the rich Ruby Hill ores, and the Richmond Mining Company and the Eureka Consolidated Mining Company properties were consolidated into the Richmond-Eureka Mining Company. The United States Smelting and Refining Company held controlling interest in the new company. 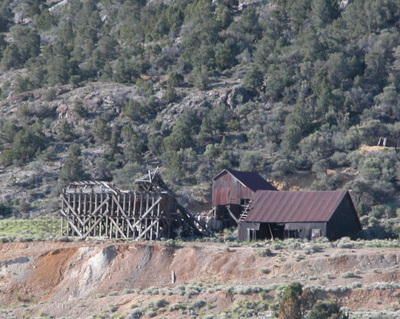 Between 1905 and 1910 the Richmond Eureka Mining Company rehabilitated the Richmond and the Eureka consolidated mines and shipped stope casing and old stope fills to outside smelters. 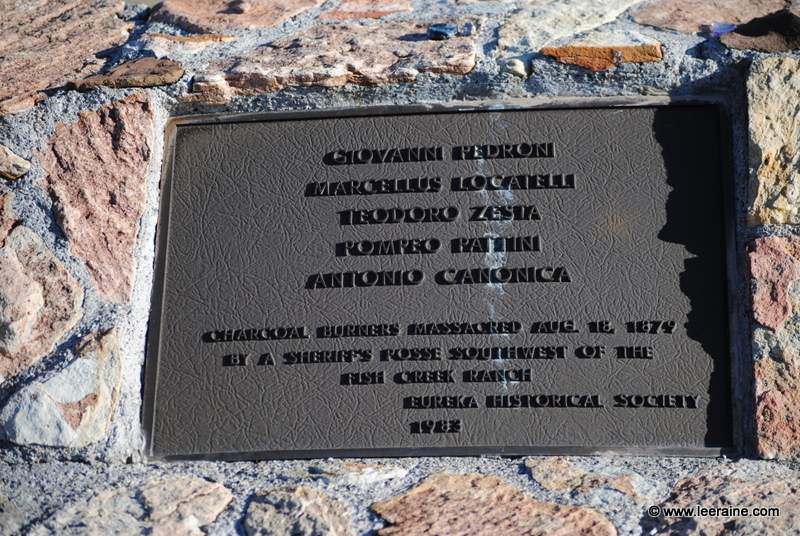 The following is taken from an article Paroni wrote that was published in the Eureka Sentinel issue of May 16, 1964. In the 1880s, while developing the Locan 1200 level, a sudden flow of water was encountered, which filled the 1200 level and rose 250 feet in the shaft. Dewatering operations were started but ceased shortly thereafter because the mine was shut down. During the period of 1905 to 1906, a Prescott Steam Pump was installed on the 900 level of the Locan shaft. This pump was manufactured by the Fred M. Prescott Steam The Holl Pump Company of Milwaukee, Wisconsin, and it is 26.5 feet long, 8.5 feet wide and 5.5 feet high. The capacity of the pump was somewhere between 500 and 800 gallons per minute. Four 350-horse power . Sterling Water Tube Boilers were located on the surface, and they generated the steam to run the underground pumps. 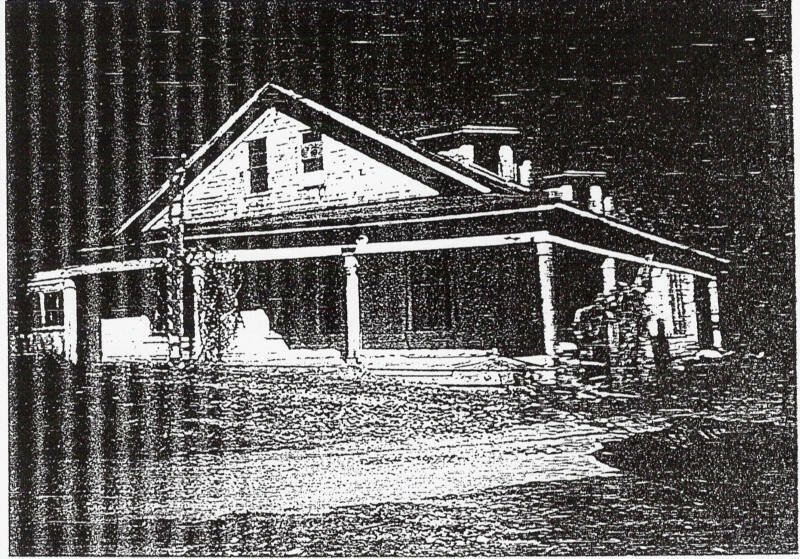 A Nordberg first­motion hoist and Nordberg air compressors were also used and they heated the offices, bunkhouse, mess, superintendent's house, and assay office. 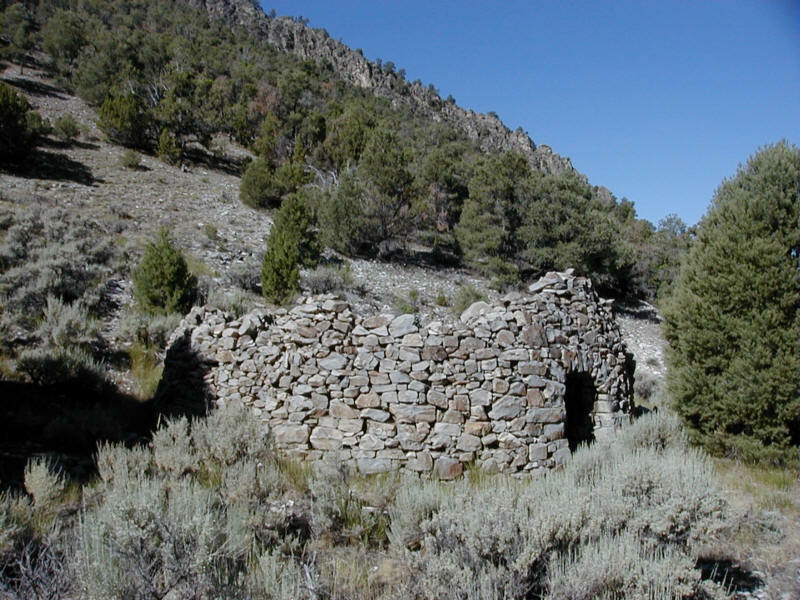 In 1919, the Ruby Hill Development Company, financed mainly by Mr. Thayer Lindsley, took a lease on the property and started to unwater the Locan shaft. The water level was then at about 100 feet below the Locan 900 level station and it was necessary to retimber the shaft below the depth of 600 feet. The company encountered many difficulties in the pumping operations and by the time the Locan 1200 level station was reached the money had been exhausted and the project was abandoned. 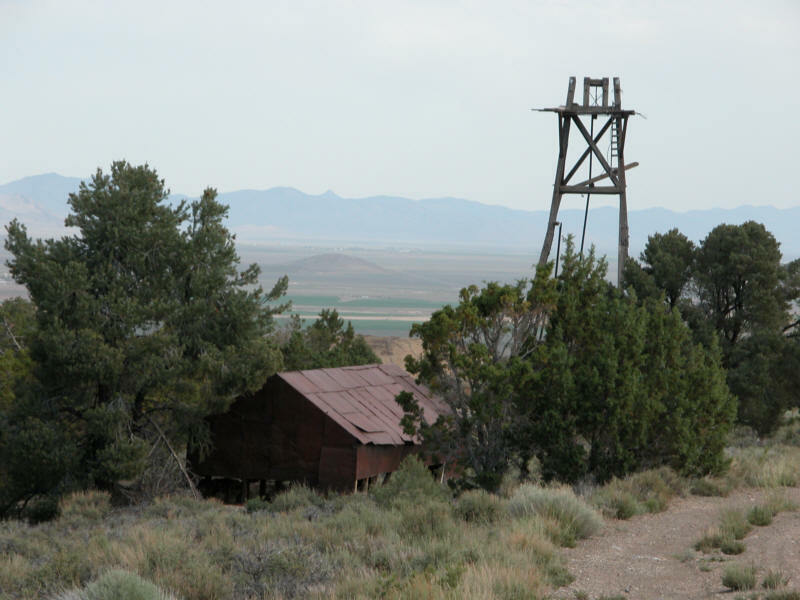 In 1923, the Richmond-Eureka Mining Company unwatered the Locan shaft to the 1200 level by placing two Prescott steam sinker pumps in the shaft, which pumped to the 900 level. The water was then pumped to the Locan 100 level, a distance of 762 feet, where it flowed to the surface via a tunnel. In addition to the steam pumps in the shaft and on the station, two large bailers were used. These bailers were reported to be 16 feet long, to have a capacity of 1,600 gallons and put out about the same amount of water as the pumps. When the 1200 level was reached, the company found the original crosscut badly caved and therefore drove a parallel crosscut southeast to the Ruby Hill fault. They also drove a drift to the southwest about 180 feet, where additional water was encountered, which was more than the pumps and bailers could handle, and work was stopped. 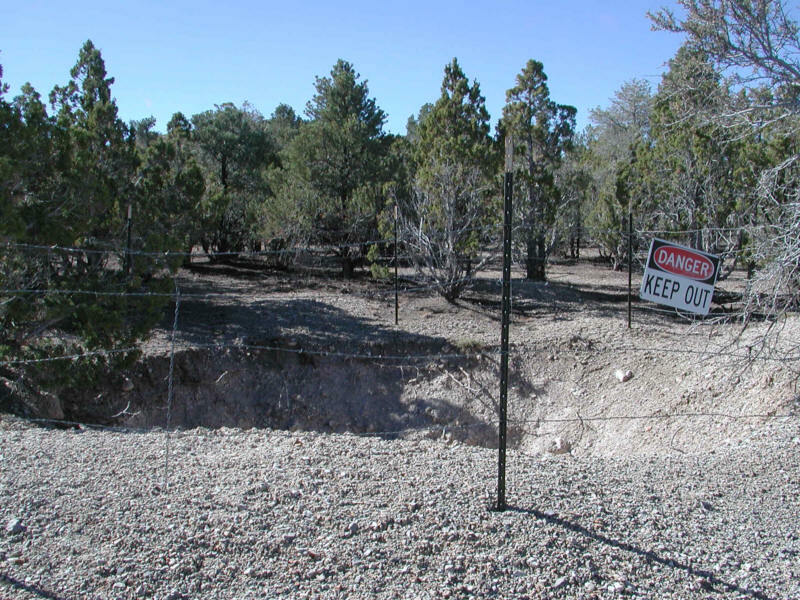 An attempt was then made to drill a vertical exploration drill hole from the 900 level, but the hole caved at 760 feet, and the project was abandoned. The Prescott station pump has never been used since, and it is in remarkably good condition. When visitors first see this pump, the immediate reaction is one of amazement. It is a tribute to the determination and skill of the early day operators and workmen that such a large piece of machinery was lowered underground part by part, and reassembled. To the best of my knowledge, this pump is still on the Locan 900 level. The mines in Ruby Hill were mainly worked out prior to 1900, and consequently there was sporadic production during the 1920s and the 1930s. The Adams Hill area is a series of low hills that start a Ruby Hill and trend northward to Diamond Valley. Ore was mined from 1875 to 1922 and about 91,786 tons were produced at a value of approximately $2091,000. The Adams Hill, Bowman, Silver Lick and the Wide West produced ore from the Hamburg dolomite formation which usually contains low gold, high silver and low lead values. The Holly, Bullwhacker, Silver West and the Williamsburg produced ore from the Windfall limestone, which usually contains low gold, high silver and high lead values. 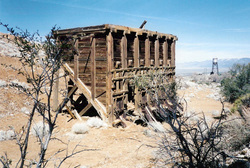 The largest producer was the Holly mine, which produced 67,271 tons valued at about $1,157,000. In 1937, Thayer Lindsley formed Eureka Corporation, Ltd., a Canadian company, and obtained a lease on the Ruby Hill Property from Richmond-Eureka Mining Company. A diamond drill hole was drilled from the surface but no lead-zinc mineralization was found. They then drilled a hole from the Locan 900 level, and 40 feet of gold-silver-Iead-zinc ore were intercepted, and also deepened the old Richmond­Eureka hole on the same level, and intersected 309 feet of ore.
Due to these two favorable ore intercepts, Eureka Corporation started sinking the four-compartment, rectangular Fad shaft in late 1940. The shaft was named for the Fad claim on which it is located. 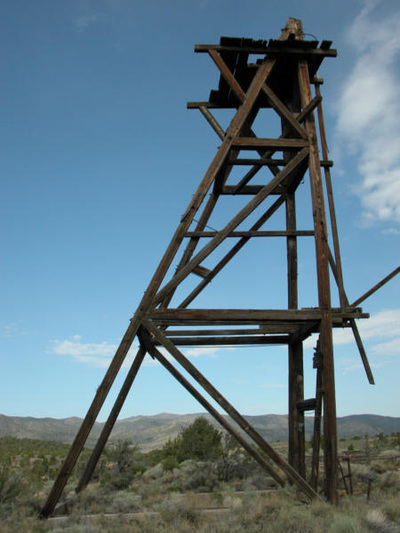 A 30-foot wooden headframe, a small diesel-powered hoist and a compressor that had been used at the Locan shaft were used initially because the company was unable to obtain equipment or materials for building on a permanent basis. The sinking operations were curtailed in October 1943, at a depth of 556 feet, because pumping equipment could not be obtained due to wartime controls. 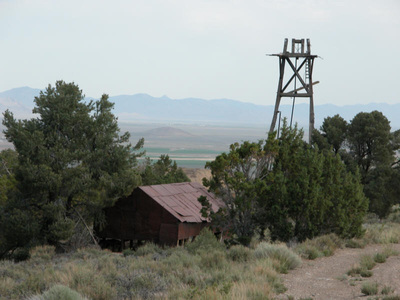 The U.S. Bureau of Mines then drilled three additional drill holes from the Locan 900 level, and all intersected ore.
Local Headframe and bins at Ruby Hill. The train route ran through the area shown in the foreground. 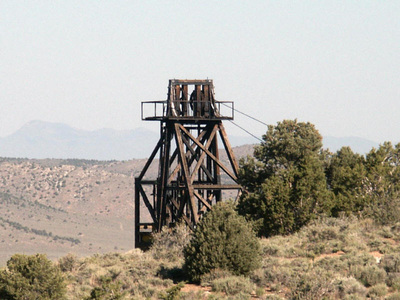 This headframe fell due to age and weather in the winter of 2008-2009. Connie Hicks photo. 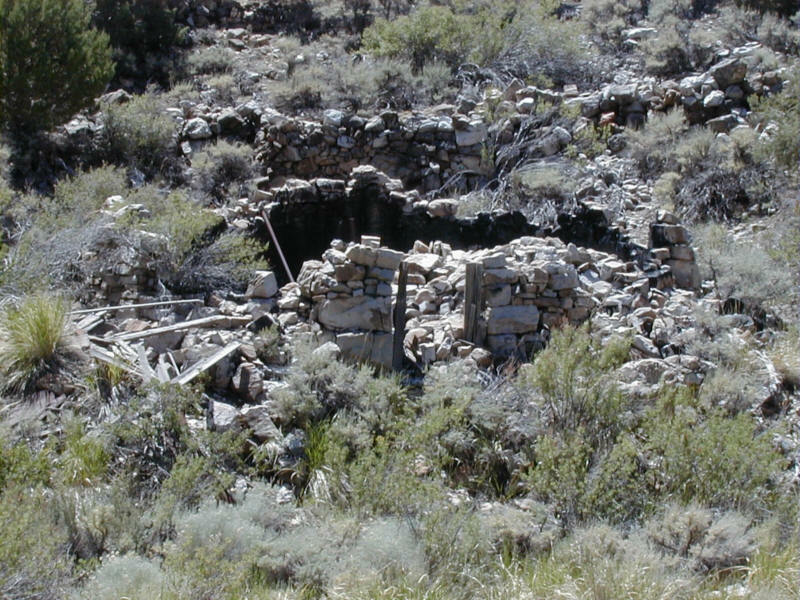 In the fall of 1944, the hoist and compressor house, with all of the equipment, was destroyed by fire. In February 1945. construction and equipping of permanent buildings was started, and a 60­foot steel headframe was erected. The following were built and equipped: dry house, hoist and compressor house, machine and blacksmith shop, power house, water treatment plant, substation, powder magazine, automotive storage and an emergency first-aid station. Also built or erected in 1946, or at a later date, were a 50,000 gallon water storage tank on 50-foot legs, eight 15,000 gallon diesel storage tanks, a metal Quonset building warehouse, a combination electric shop and engineering office and a combination framing shed and carpenter shop. The hoist and compressor house contained a Nordberg double-drum main hoist, a J. George Leyner single drum chippy hoist and four air compressors with a total capacity of 2,050 cubic feet per minute at 100 pounds per square inch pressure. Shaft sinking was resumed in 1945, and completed to a depth of 2,415 feet in 1947. Stations were cut on the 800, 1700, 2000 and 2250 foot levels. Also, the Fad 800 level and the Locan 900 level were connected by a drift. A haulage drift towards the ore body was started on the 2250 level, and in March 1948, the drift crossed the Martin fault and penetrated the water bearing Eldorado dolomite formation. At that point, the haulage drift was stopped and a service drift was continued to the Martin fault, where again the water-bearing dolomite was intersected. At this period in time, the installed pumping capacity in the Fad shaft was about 2,500 gpm (gallons per minute), and 1,500 gpm were being pumped. The drift operation was stopped and a water door installed in the service drift. The service drift was then advanced 25 feet in the dolomite, and on March 25, 1948, a drill hole in the face of the drift encountered high-pressure water. The water door was closed, but control of the water was lost when a steel plate that was bolted to a flange on an 18-inch diameter ventilation pipe line failed. Within a few hours the water flow increased to more than 2,000 gallons per minute, which necessitated the abandonment of the 2250 level, and subsequent flooding of the shaft. They then installed diesel power generation and pumping capacity that would adequately remove 5,000 gpm from the shaft. This proved inadequate and more generation and pumping capacity was added. Caterpillar diesel engines with a 480-volt generator. (Note, the 480-volt power was stepped up to 2,300 volts at the substation). As high as 9,000 gpm were being pumped in November 1948. The water in the shaft was lowered to within 54 feet of the 2250 level station, when a sudden in-rush of muddy water occurred, and the shaft was again flooded. Although the problem was studied in detail, no further effort was made to unwater the shaft. In 1950, 1952, 1957 and 1958, twenty-two rotary drill holes were drilled using oil-field type drill rigs. Fourteen holes penetrated the Eldorado formation, and substantial additions were made to the ore reserves. In 1953, eight rotary drill holes were drilled in an Adams Hill area about one mile north of the Fad shaft, and five of these holes encountered ore in the Hamburg dolomite formation. In late December 1953, preparation work for a four­compartment square shaft was started in this area. and the shaft was completed to a depth of 1,127 feet in August 1955. The surface plant consisted of a 46-foot wood headframe, a hoist building containing a Joshua Hendy double-drum main hoist and two air compressors with a total capacity of 700 cu. ft. per minute at 100-pounds pressure, a chippy hoist house with a J. George Leyner single drum hoist. substation, water tanks, and 6,000-foot-Iong power and pipe lines from the Fad surface plant. The shaft was named the "T.L." shaft in honor of Thayer Lindsley. A pump station and sump was cut at 600 feet, and main levels were cut at 850, 950 and 1050 feet. Additional underground diamond drilling and surface churn, rotary and diamond drilling was done in 1956, but little additional ore was found. Mining operations were started in 1956, and additional ore was delineated by long-hole drilling and drifting. Water was encountered at a depth of 634 feet in the shaft, and a maximum of 230 gpm was pumped in the early stages of development. As the extent of the workings increased, the quantity of water decreased, and when the mine was shut down in 1958, about 1400 gpm were being pumped. Approximately 31,374 tons of ore were mined from the TL. at a value of about $1,688,500. The overall average grade of the ore was 0.44 oz. of gold per ton, 11.6 oz. of silver per ton, and 17.5% (350 lbs.) of lead per ton. There was no mill on the property. 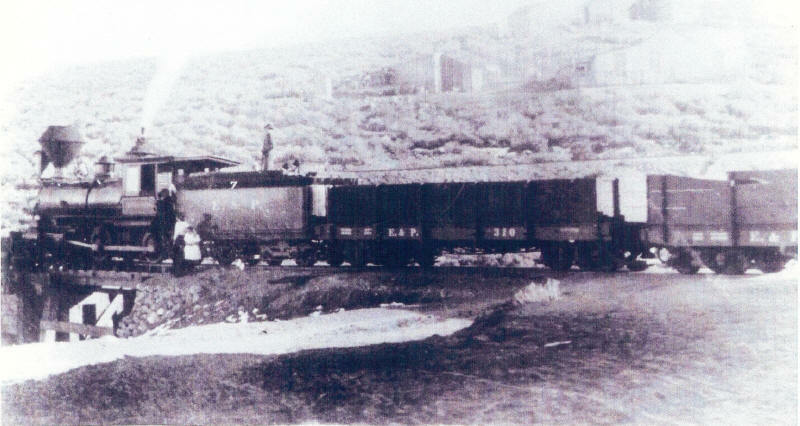 The raw ore was trucked 82 miles to Palisade, where it was stockpiled and eventually shipped via Southern Pacific or Western Pacific Railroads to smelters at Selby, California, and Salt Lake City for processing and smelting. and make a feasibility study. Fourteen holes were drilled in the Fad area and the quantity and value of the ore reserves were increased by ore intercepts encountered in some of these holes. Ten holes were drilled north of the TL. area and the area between the Fad and TL. shafts. Both the upper Hamburg dolomite and lower Eldorado dolomite formation were explored. Mineralization was found in some of the drill holes, but none was of commercial value. The drilling program was completed in 1961. In January 1962, an underwater TV camera was lowered from the Fad 800 level in order to determine if there was an appreciable amount of muck on the 2250 level. The results were excellent in the shaft where light was reflected back to the camera lens. The light rays at the stations were absorbed by the large expanse of water and a very poor picture was received. A decision was made to attempt to seal off the large quantity of water encountered by the 2250 level drift. 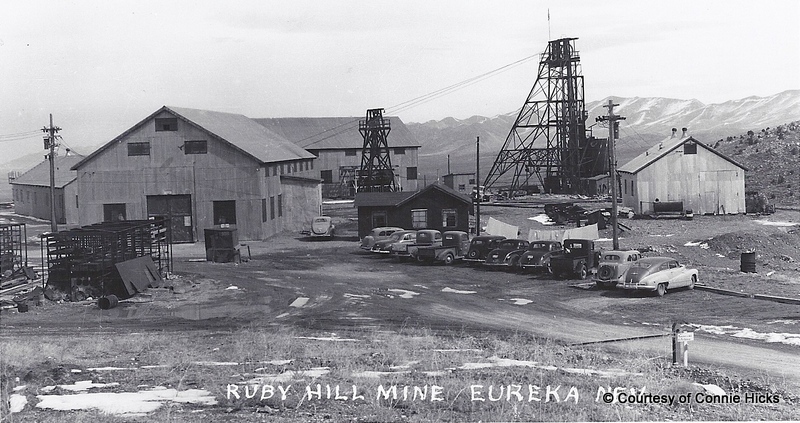 On April 1, 1963, Ruby Hill Mining Company leased the property to Newmont, Cyprus, Hecla, Richmond- Eureka and Eureka Corp. Hecla was named operator, and started work on April 16, 1963. A decision was made to drill a directional hole from the surface which would intersect the 2250 level haulage drift between the water door and the face of the drift. The hole was completed on July 28, 1963, at depth of 2261 feet and it intersected the center of the haulage drift about 16 feet back from the face. A concrete plug was placed in the Fad shaft just above the water table, and the 10-inch and 12-inch diameter pipe columns were extended through the plug to the surface. A Bryyson Jackson submersible pump was installed in the T.L. shaft, and a 24-inch diameter pipe line laid from the T.L. shaft to the Fad shaft. Water was pumped through the 10-inch pipe column into the shaft and the 12-inch column was used for instrumentation to continuously record the shaft water level. The object was to reverse the flow in the Fad shaft water by pumping water into the shaft while cement slurry was being pumped to the 2250 level through the drill hole. Cement slurry injection was started on July 28, 1963, and completed on August 16, 1963. A total of 24,350 sacks of cement were pumped to the 2250 level. Following the injection of the cement, a decision was made to attempt to unwater the Fad shaft. Pumping began on September 8, 1963, and the 1700 level station was unwatered on November 28, 1963. On March 1,1964, approximately 2,040 gpm were being pumped from the shaft, of which 150 to 200 gpm were from the 2250 level. When the 2250 level was reached, it was found that the haulage drift and access drift were completely filled with muck. At the shaft, muck covered with cement was found to a depth of four feet. From the shaft, the top of the cement sloped upward gradually to a point about 20 feet from the shaft and from that point on the station was completely filled. A portion of the station was cleaned out, and a series of holes were drilled and cement grout injected to form a water seal. The rest of the main station, service drift to the water door, haulage drift and pump station and sumps were then cleaned out and repaired where necessary. A new crosscut to the ore zone was started. A series of 100-feet-deep holes were drilled and pressure grouted, and the crosscut was advanced about 75 feet. A water door with a 14-foot-long bulkhead was installed adjacent to the Martin fault. The crosscut was advanced by drilling and pressure grouting a ring of 31 drill holes, each 124-foot deep. 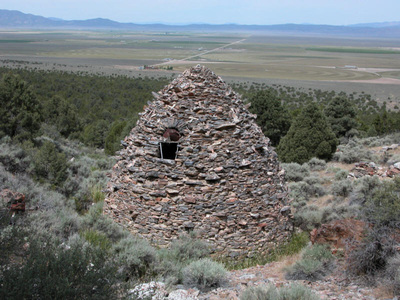 The ring of holes was drilled as a truncated cone with the face of the crosscut being eight feet wide by nine feet high, and at 124 feet the diameter of the ring was about 35 feet. It took about 23 days to pressure grout the holes, and nearly 10 days to advance the crosscut 92 feet. (Note: It was necessary to advance the crosscut under full group cover because the water pressure is 520 psi (pounds per square inch) on the 2250 level. Then 1,028 feet of crosscut were driven using this procedure and it was completed on September 1, 1964. Numerous percussion and diamond-drill exploration holes were drilled from the crosscut, and the drilling program was completed on January 10, 1966. Mining equipment, station pumps and electrical equipment were removed from the 2250 level, and the water door was closed on February 1, 1966. Station pumps and electrical equipment on the 2000 and 1700 levels were then removed. The mine was placed on an inactive status near the end of February 1966. Hecla prepared an extensive feasibility study for this project in 1966, which lead to the conclusion that it was not economically attractive to place the Ruby Hill Mine into production at that time. By 1974. Newmont had dropped out of the lease, and Hecla. Cyprus, Richmond­Eureka and Silver Eureka (Eureka Corp.) held the lease and operating agreement with Ruby Hill Mining Company. Hecla updated the 1966 feasibility study in 1974. The project still did not meet all the criteria to be profitable. No further work was done and the property reverted back to the successor of U.S. Smelting and Refining Company who reworked some of the dumps during the 1980s. The author, Walter Andrew Paroni, was born December 5, 1921 in Berkeley, California and received a degree in mining engineering at U.C. Berkeley in 1950. He worked at the Ruby Hill area, for Eureka Corporation, Ruby Hill Mining Company and Hecla Mining Company from 1953 through 1966. He also worked as a mining engineer in Alaska; Bingham Canyon, Utah; Star-Morning Mine, Burke, Idaho and served as a senior mining engineer at Hecla mining properties in Idaho, Washington, Montana, Nevada and Colorado. In 1950-1952 he assisted with the design of the foundations for the Richmond-San Rafael Bridge in California. Walter and his native Eurekan wife, Genevieve Swick, were married on December 26, 1954 in Eureka, Nevada. He passed away in Post Falls, Idaho on June 3, 2010. Genevieve Marie Swick Paroni, was born in Eureka, Nevada on July 27, 1926 to William Jackson and Myrtle Rose (Smith) Swick and passed away in Post Falls, Idaho April, 24, 2011.